Nothing is as important as secrecy. All your security plans and preparations will be worthless if the bad guys know them. Good personal and operational security begins with a clear understanding of what kind of information the criminals etc. will be trying to learn about you, your family or business operation. Governments must keep secret their diplomatic alliances, secret treaties and military strategies etc. Although a government may suffer a great loss because of poor security, it is hard to imagine today a situation where a nation’s defenses could be completely overwhelmed by a single security leak, not so with a small-scale operation. A company might be ruined as the result of a single security leak. A family might be ambushed and kidnapped because of a single piece of information was found out by the criminals, such as home address, security procedures, routes your child takes to school or their travel itinerary. Addresses and identity of individual employees or contacts, their families or close friends. Their security plans and methods of operation. Location of hideouts, safe houses, etc. Codes, signals, passwords and lines of communications. Good personal security is a must, good team security begins with good personal security. If a person is living or traveling under their own name, they must keep information about their occupation and activities limited to those who need to know only. There is no one more completely defenseless than the individual whose personal security has been compromised. Personal security is a 24/7 job, to some it comes almost instinctively but others can find it very hard to develop. An individual’s habits and personality will have a considerable effect on their attitude towards personal security, some people will just never get it and can be a liability. Such people should not be allowed access to sensitive information or taken to high-risk locations. 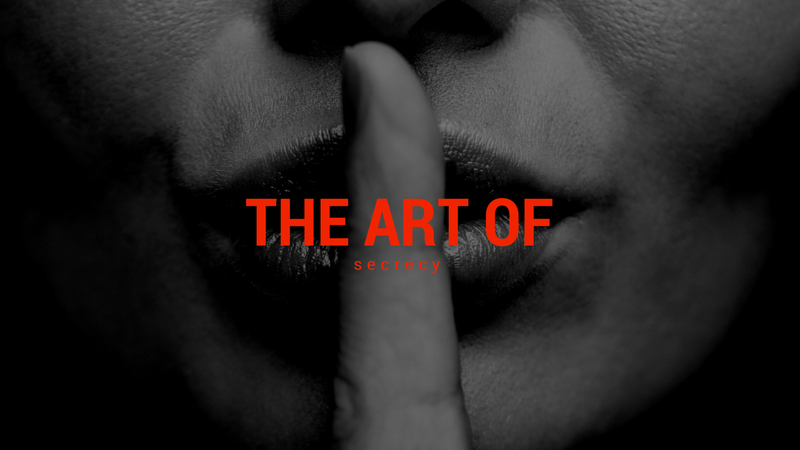 Deception: Deception is essential to the success of all security operations, always have a cover story and be ready with feasible explanations to who you are, what you’re doing and why you are doing it. Avoiding attention: One way for any individual or organization to seriously compromise their security is to attract attention. Always keep a low profile and remember that If people don’t know what you are doing, they cannot counteract you. Self-discipline: Everyone must abide by the rules, if anyone disregards the security program, they could jeopardize the personal security of all involved. The program: A security program must be outlined and made clear to all personnel. Everyone must be trained and willing to work within the program. Continual inspection: The biggest thieves are usually those trusted with largest responsibilities- they have access to assets or information worth stealing. The conscientious person with the flawless record can easily deviate by their own accord or with the pressure of a little blackmail. People change and so does the importance they place on their own security, given time people will relax. This is why there is a need for everyone to be constantly inspected. Fluid change: This is best illustrated by frequent changes of meeting places, routes and operational procedures to keep the criminals guessing. This principle is necessary because, if given enough time, professional criminals can crack the security of any organization. So, old security measures must be constantly and fluidly replaced and updated. Action: If someone is not capable of obeying the security program they will need to be disciplined, they should not be trusted or only trusted with information or tasks that will not jeopardize anyone else. You will not have a security program by following only one or more of these principles, all must be followed, and you must remain alert 24/7. Basic counter-intelligence increases the security of all operations and the chances of surprise in offensive operations. Your security program, even if it is for yourself, should be developed to prevent the leaking of information, or situations where criminals can extract information from you or your business. You must initially try finding criminal sympathizers already within your operation; this could be your locally recruited secretary or attorney. If you detect a sympathizer within your operation what are you going to do, fire them or feed them false information? You should also consider why they sympathize with the criminals, is it for money or are they being threatened. Counter-intelligence can be broken down in the two practices, denial and detection. Thoroughly brief everyone on how the criminals will try to get information on you, your personnel and your operation. Place a high emphasis on the security of information. People must understand to keep things on a need to know basis and not to talk about confidential subjects in public. Make sure all papers, old computers and communication devices etc. are properly disposed of. Employees should be briefed on. bars, clubs and other venues that are safe to frequent and those that are not. Background investigations must be done on all employees, especially locals who have access to confidential information. Make maximum use of CCTV, covert cameras for detection and overt cameras for deterrence. Monitor your staff communications including e-mail and telephone calls. Put any staff members acting suspiciously or who seem to be living beyond their means under investigation and surveillance. These are just some basic considerations, but they can make your security program into something that would make it extremely difficult for the bad guys to gain information on you. If they cannot get any information on you it makes their job targeting you a lot harder. Hopefully, so hard they’ll go and do what we want them to do, find and easier target of which there are plenty.